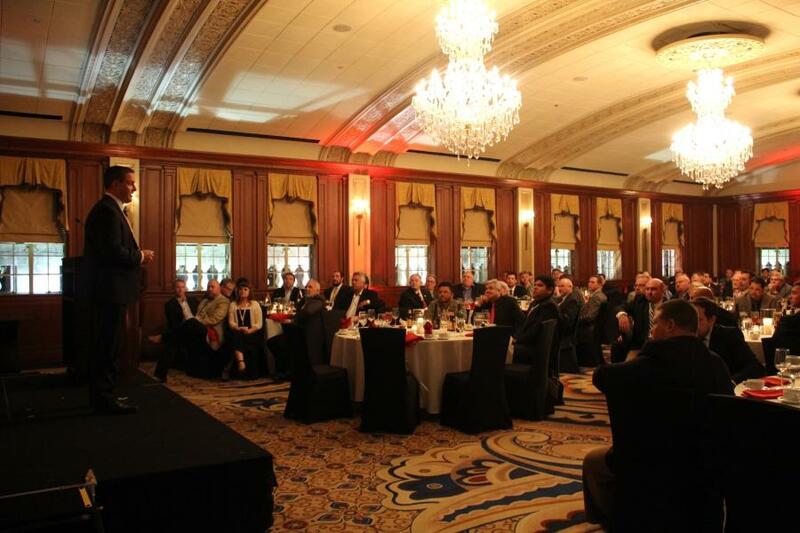 Earlier this month, Terex Cranes honored the efforts of its top distributors in North America during a special awards ceremony in Oklahoma City, Oklahoma. Earlier this month, Terex Cranes honored the efforts of its top distributors in North America during a special awards ceremony in Oklahoma City, Oklahoma. Six distributors were recognized for their excellence and dedication in sales in each product category. Awards were also given for dedication to parts and service. The awards ceremony was held in conjunction with a three-day training event for Terex Crane distributors from across Canada, the United States and Mexico. The event focused on “Delivering Success Together.” Topics presented during the event's educational sessions included product innovation updates, leadership and sales skills training, hands-on equipment training, parts and operations processes, as well as safety discussions. During the event, attendees also had the opportunity to tour the Oklahoma City manufacturing facility where Terex® cranes, Demag® overhead cranes, Genie® aerial work platforms and Terex materials processing equipment are produced.